It might be fate that made the old and venerated city of Toledo the land that saw the genius painter Doménikos Theotokopoulos grow up, known worldwide under the name of "El Greco". Although he was born in the ancient kingdom of Candia, known today as Crete (hence his nickname), he trained artistically in his homeland and later in Italy learning from great masters such as Tiziano, Tintoretto and Michelangelo, it is only in Spain that the unique style of this painter reached the epitome of its fame. In 2014, Spain commemorated warmly and with admiration the 400 years of the death of the Spanish painter of adoption. However it's in Toledo that the best commemoration can be found, since this was the center of his artistic production; not only for his successes but also his failures, disputes and complaints on the price of his paintings, his financial instability, his repressed objective to work for the court of Felipe II and his increasingly important recognition for the particular style of each of his paintings. At the time when the artist lived, Toledo was one of the most important and populated cities of Europe and also the religious capital of the Kingdom of Spain. Toledo today is like an eternal tribute to El Greco, it's the Mecca of his work. But the recognition and aroused admiration is not limited to the national territory. He is considered nowadays one of the greatest international artists of all time. So much that after the first three months of the opening of the exhibition "El Griego de Toledo", this latter reached the record figure of one million one hundred thousand visitors. Additionally several films both for television and cinema have been produced on the life of the artist since the early twentieth century. His work, admired today by art lovers from around the world, is present in several museums. Ernest Hemingway himself remained in ecstasy before the painting "Vista de Toledo" on display at the Metropolitan Museum in New York, which shows the typical features of his artistic work. The use of cold color palettes and light effects both extraordinary and unreal, give all his creations a phantasmagorical appearance, largely distorted from reality. But it was not always like that. As with all great artists, Doménikos Theotokopoulos was also misunderstood in his day, wearing self-absorption and extravagance mainly because of his manner brought to the extreme that gave him that stamp so personal. 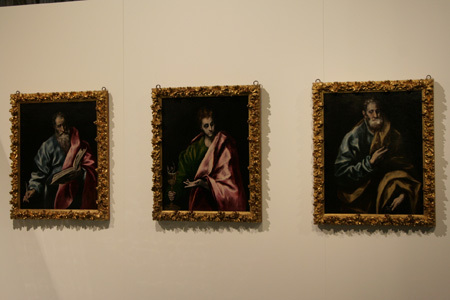 It is largely thanks to the Basque painter Ignacio Zuloaga that El Greco was rediscovered. The combination of his deep Catholic devotion and the religious-political situation at the time made of El Greco a "weapon" for the Catholic Counter-Reformation to fight against the Protestant Reformation. 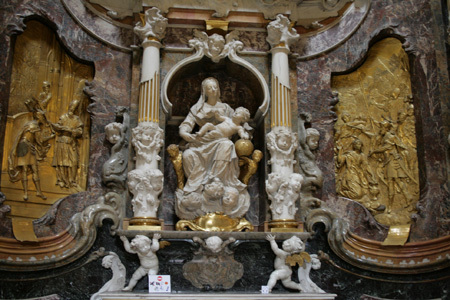 Therefore we understand better the orders of dozens of paintings on devotion to the saints and the Virgin Mary. But his work goes far beyond that, including portraits of the highest quality and other non-religious paintings. If you want to immerse yourself in this cultural, artistic and mystical journey in time, visit Toledo and its emblematic places such as the St. Thomas Church, the Hospital Tavera, Saint Joseph Chapel, sacristy Cathedral of Toledo or the Santo Domingo convent.